Q: Is it just waterborne products that cause a nice, smooth door beforehand to dry rough after staining and finishing when the fibers poke up? How can this be avoided without all the sanding between coats? A: The problem you are referring to is called grain raising. Let me give a brief description of what is going on. 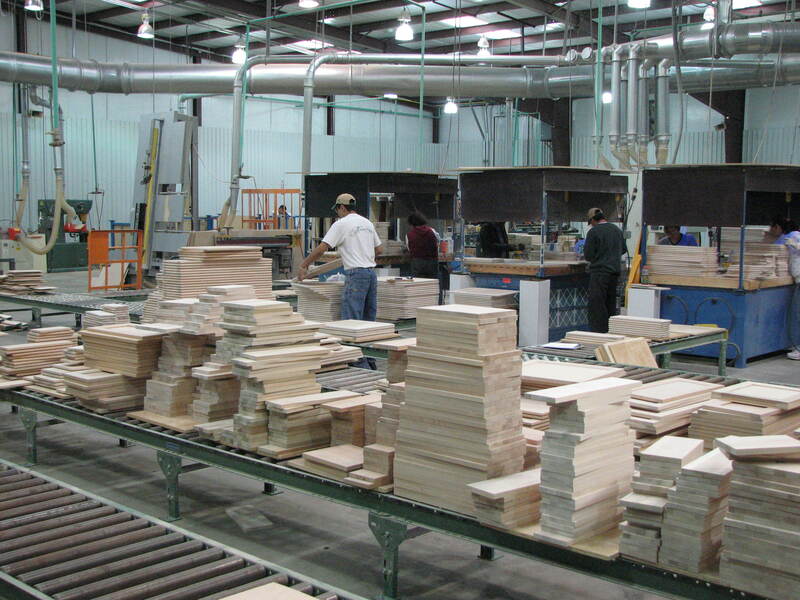 When machining or sanding wood, the knife or sand particle has a choice of cutting the wood fiber off and pushing this fiber away. When the knife is dull, the sandpaper is dull (needed to be changed the day before yesterday) or the MC a little bit high, it is easier to push the fibers away than cut them off. These fibers are pushed into the surface of the wood. Overall, the wood surface looks very smooth and flat. However, whenever the squished fibers are exposed to higher humidity or even liquid water, such as with water-based finishes, these fibers will tend to pop back up, creating a fuzzy surface. This problem is more severe with softer woods - the fibers inherently are not as strong and so can be pushed over much easier. Can we eliminate this grain raising? One step in the right direction is to keep tools, and especially sandpaper, sharp. In other words, discard sandpaper before it gets very dull. Sharp tools mean that the fibers will be cut and not pushed over. Also, avoid excessive pressure when sanding. Likewise, avoid higher MCs. When these procedures are not enough, the surface can be coated with a sanding sealer or wash coat before final sanding. This stiffens the fibers so that they will stand up and easily be cut when you do the final sanding. Another option is to use a non-grain-raising (NGR) finishing system using an organic solvent, rather than water. One additional caution for a related defect: It is possible to push fibers into the surface of the wood if excessive pressure is used, even with a palm sander. With excessive pressure, a group of fibers in a small area will be squished or compressed into the wood's surface. Upon exposure to humidity or liquid water, this area, or the fibers in the area, will spring back, making the area a little higher than the surrounding areas. In other words, wood has a memory. This springback is hard to measure, but will become very evident with a glossier finish. The finished surface will look bumpy or uneven.